The harder the water, the more minerals it contains and the more likely limescale is to build up. 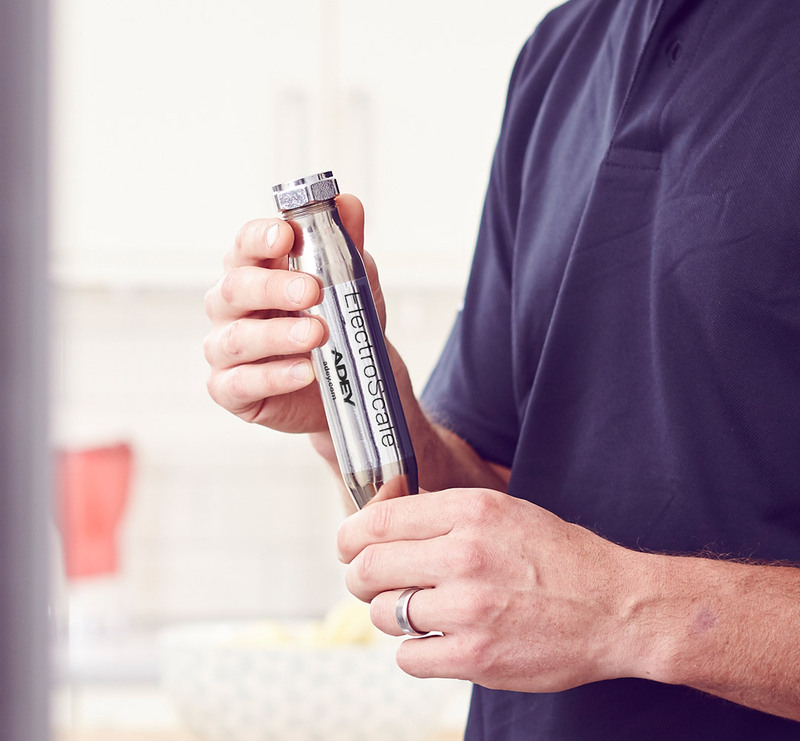 Designed for properties where water hardness is above 200ppm, MagnaScale protects individual appliances from damage, so that hard water isn’t a problem. My installer tells me he always uses MagnaClean®. The amount of sludge collected was impressive. MagnaClean® is not only neat, it performs a fantastic job. MagnaScale can be installed on horizontal and vertical pipework. To get the best protection from, it should be installed as close to the appliance as possible, without exceeding maximum operating temperature. Full instructions can be downloaded here. The ADEY® Best Practice heating system protection is a five-step process using products engineered to ensure maximum efficiency in hydronic heating systems. Chemical water treatment is a critical part of effective maintenance.